The second pair of earrings, done tonight with the small BernzOmatic to make a "bead or ball" at the ends of all four wires. Not perfect, but practicing. 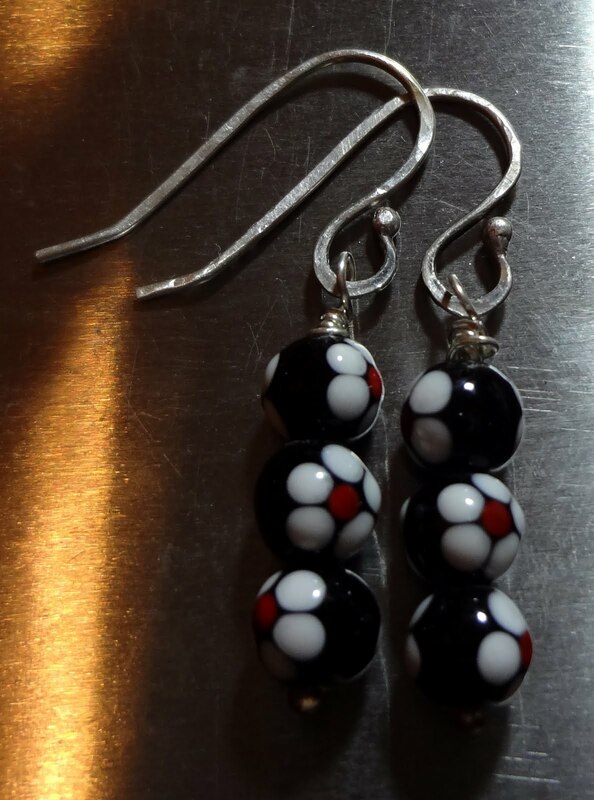 These will match a necklace that has been on the "back burner." Smiles. Ready to "hit the hay." Love the earrings, looking forward to seeing the necklace. Looks like you are having fun with this class for sure! Very pretty. Very nice....maybe I should pierce my ears!